I am sure Jetbrain people are watching this. Look like they are delivering good features in next version. Sorry if it is unrelated post here. The hyperlink stepping in the debugger is slick. This would be a convenient alternative to Run to Cursor, and would be a great alternative implementation of the Smart Step. I've just given it a try. I downloaded Europa package for Java developers and tried to install WTP. 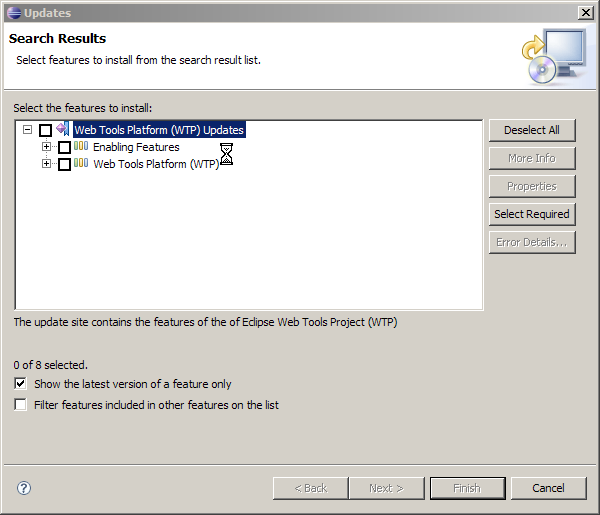 After clicking to expand "Web Tools Platform (WTP)" node, Eclipse hung up. And I threw it away to come back with IDEA.